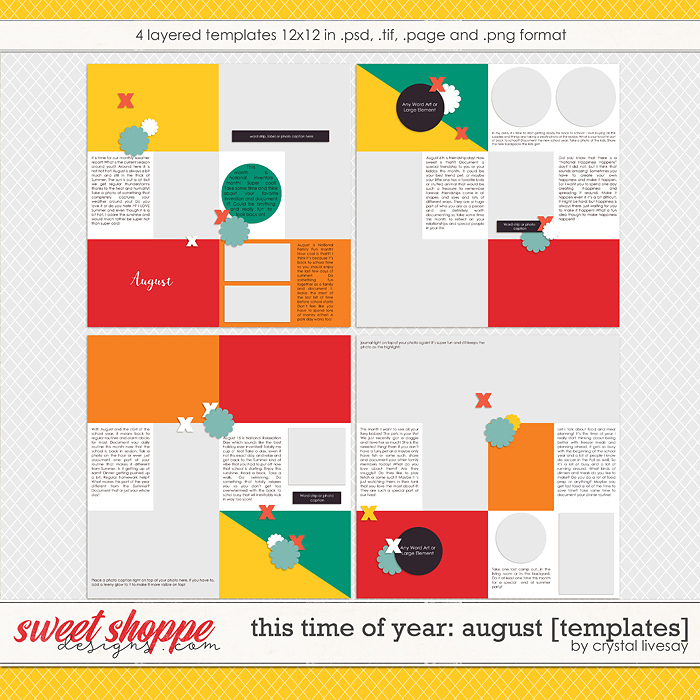 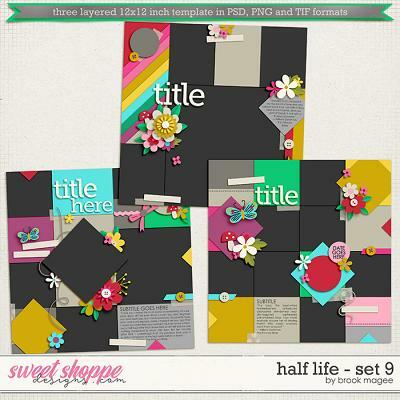 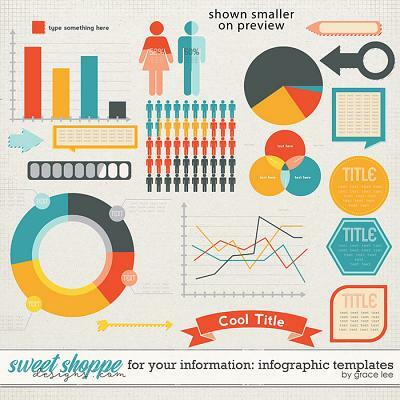 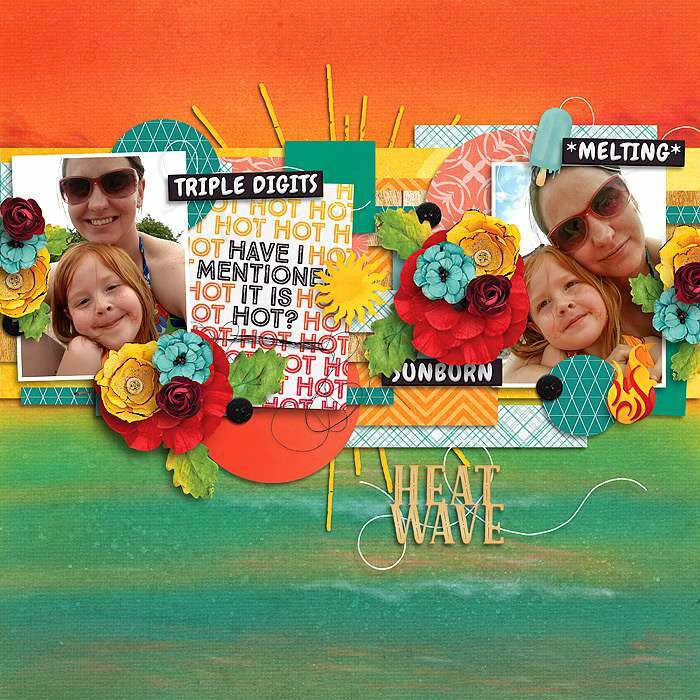 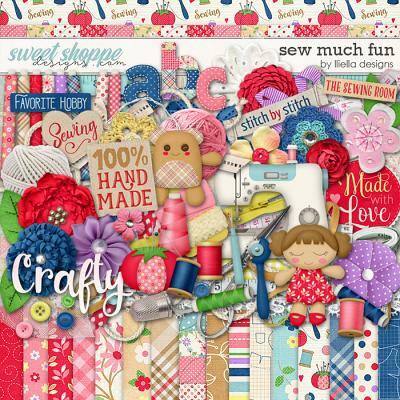 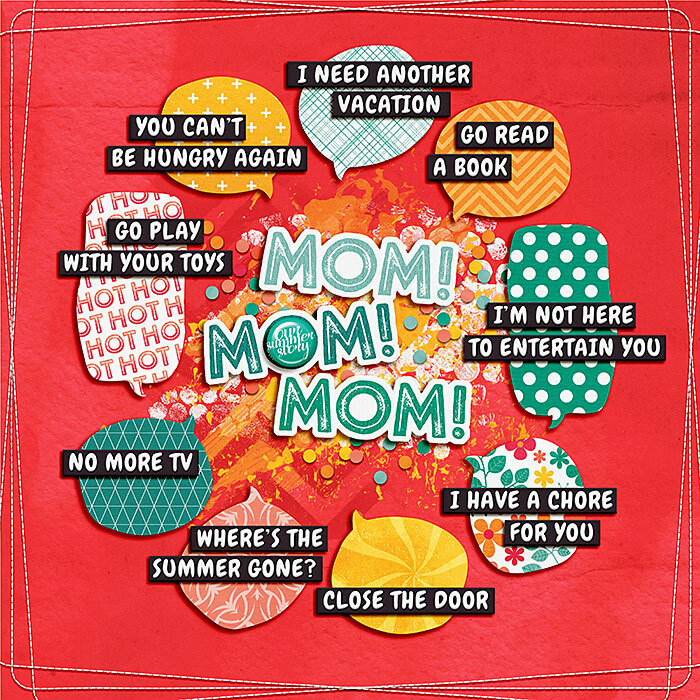 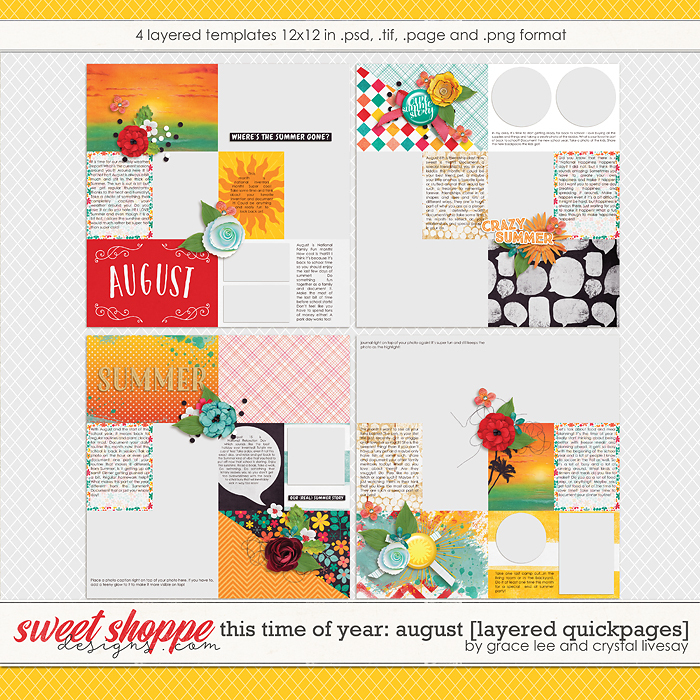 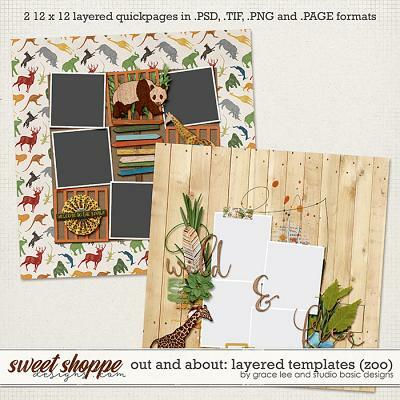 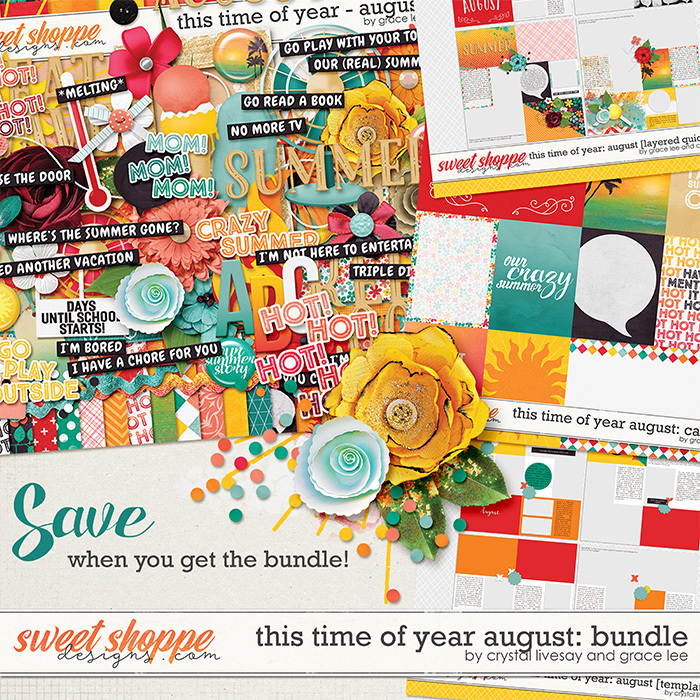 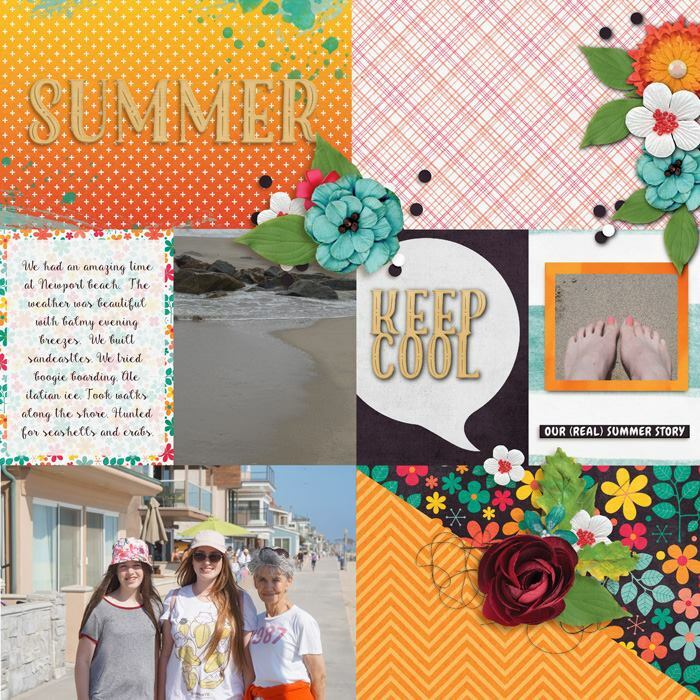 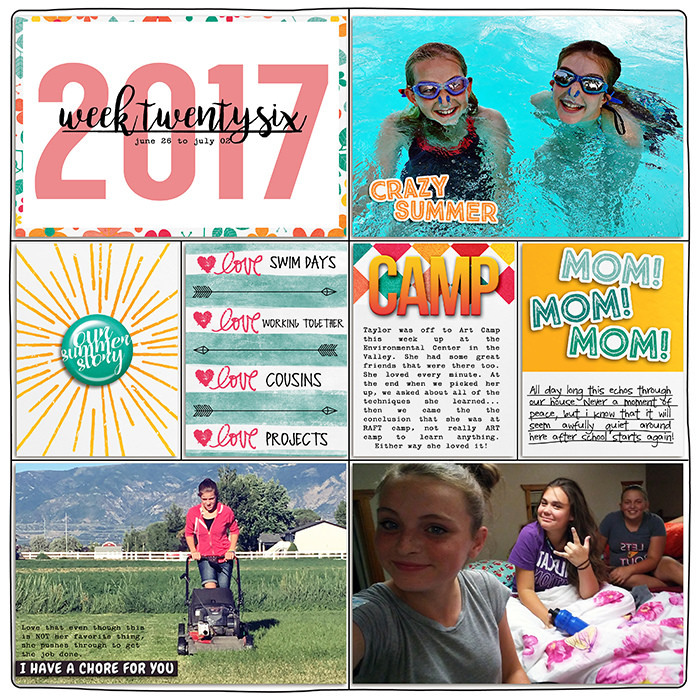 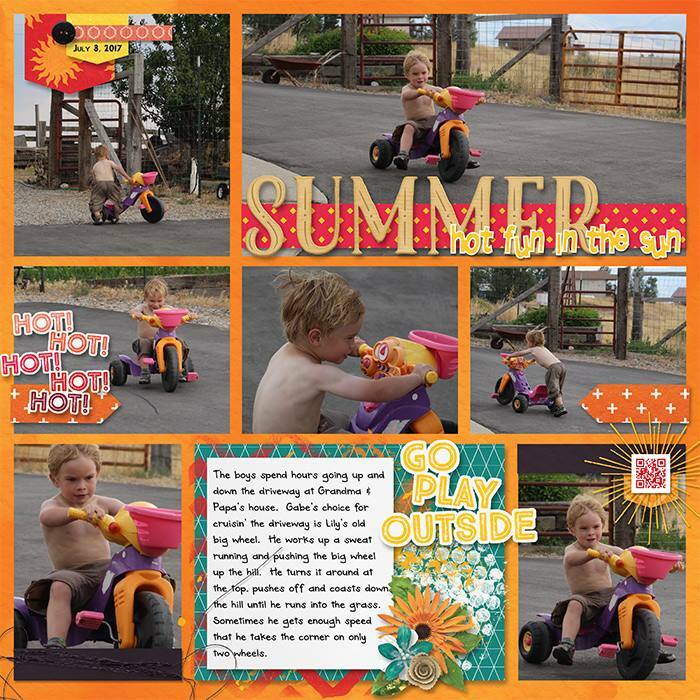 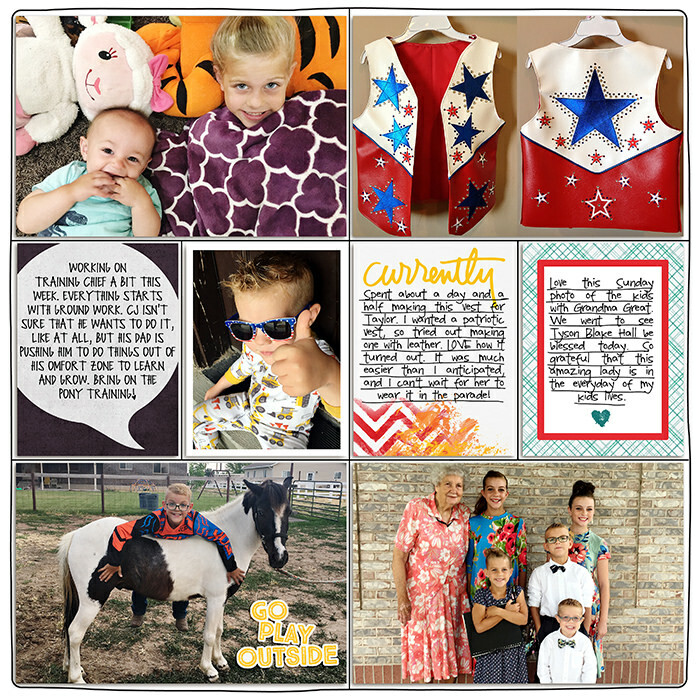 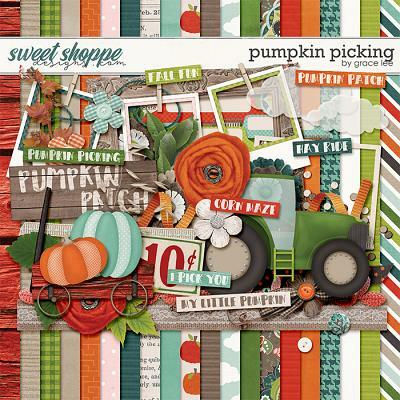 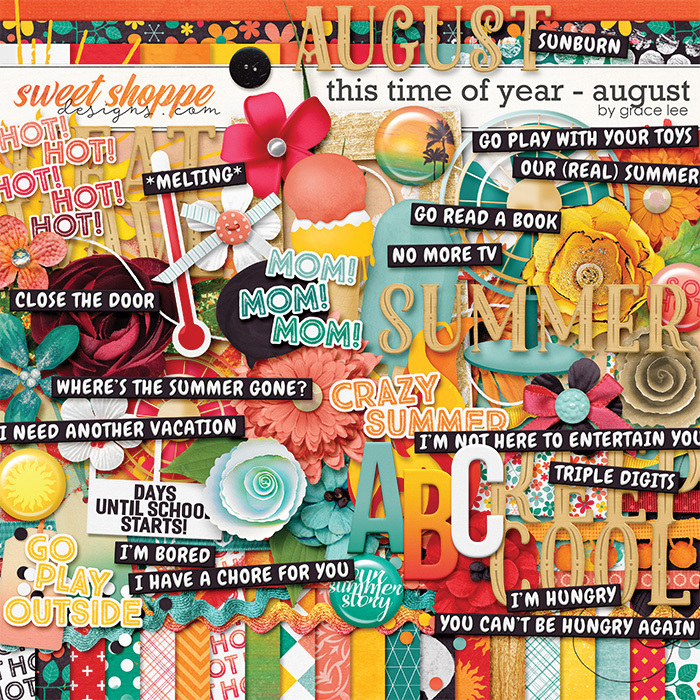 A digital scrapbooking collection by Crystal Livesay and Grace Lee, This Time of Year – August is inspired by hot family fun mixed with a pinch of humor to combat occasional summer boredom. 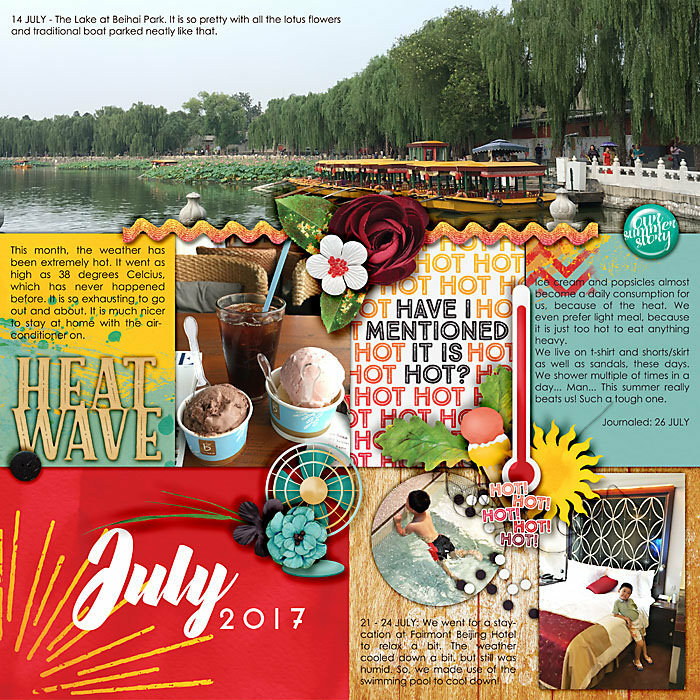 While the temperature is rising, record all those wonderful memories at the pool, beach, ice cream parlor or just chilling out in the air conditioning. 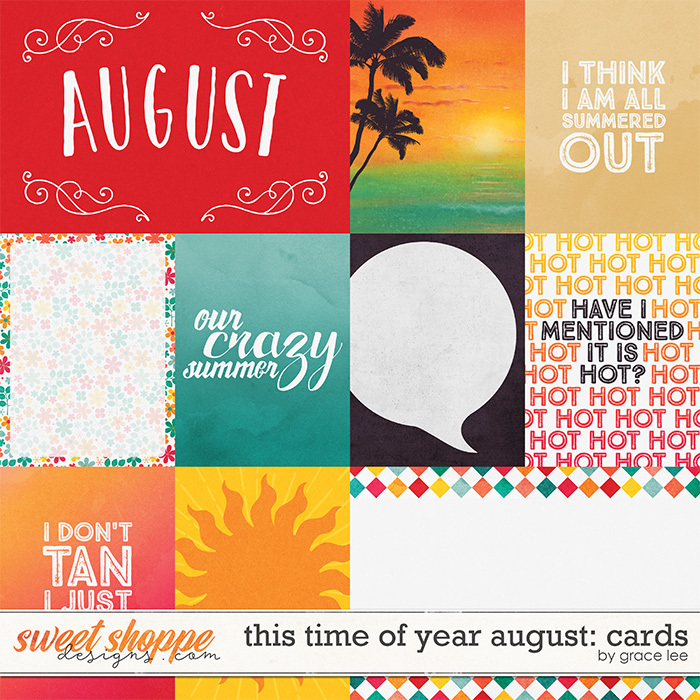 Keep cool documenting every last minute of beating the heat before summer slips away!